Wiremold Single channel, 2300 Series, non-metallic 2-piece raceway base and snap-on cover facilitates low-voltage data, voice and video cabling. 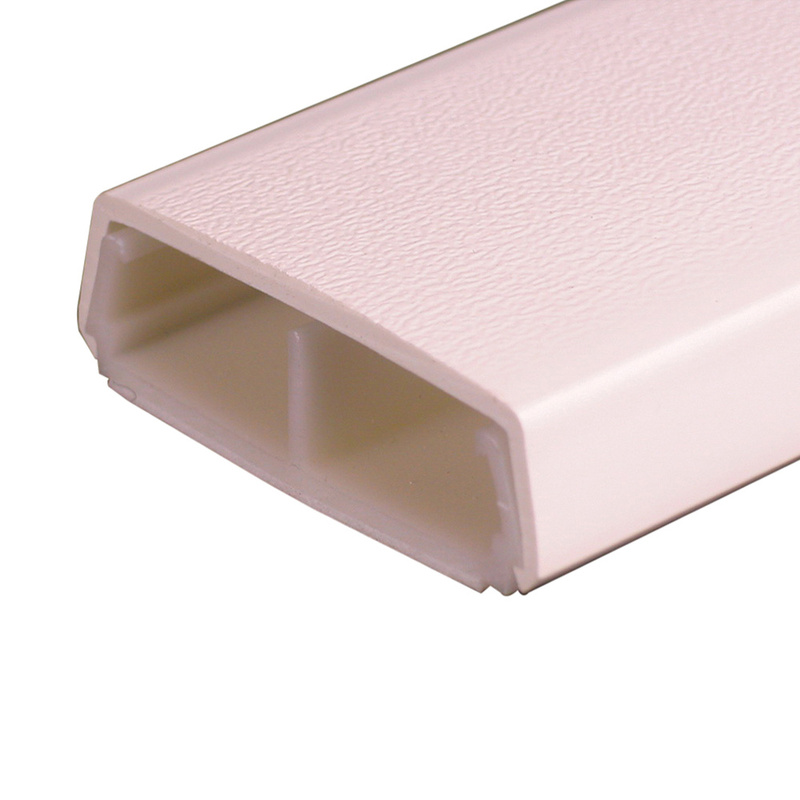 The raceway base in white color, has PVC construction for added durability. It has a dimension of 2-1/4-Inch x 11/16-Inch x 5 ft. The raceway base is suitable for communications, computer lines, surveillance systems, fire alarms and outlets. The snap-on cover offers complete security and access to wiring to make changes or additions. The adhesive backing attaches the base to the mounting surface by just a simple press. Raceway base is UL/cULus listed and RoHS compliant.